Some of the most exciting fabrics are gray or combine gray with unusual color combinations such as shades of violet and yellow. Gray provides the background for up-front, modern color combinations. 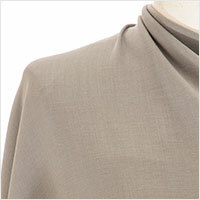 We have wonderful shades of gray in linens, cottons, wools, knits, silks and blends. Lots of choices to create a one-of- a-kind look.